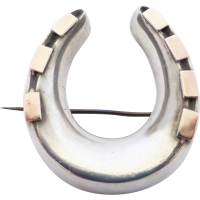 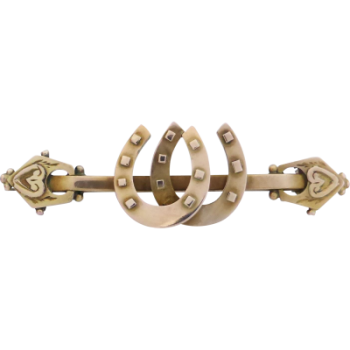 Here is a beautiful antique double horseshoe brooch dating back to late Victorian period- circa 1893. 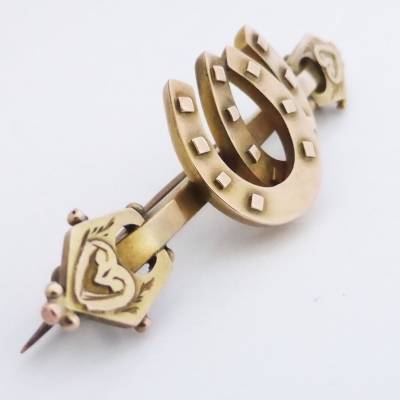 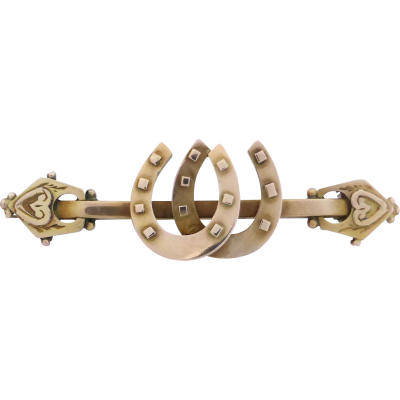 The detailed brooch depicts 2 horseshoe motifs overlapping onto a single bar, the shaped ends feature a raised love-heart motif and is decorated with granulation beads along end sides. 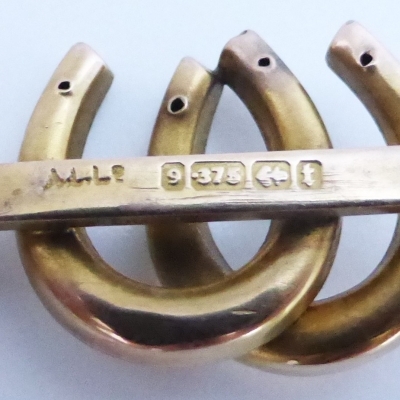 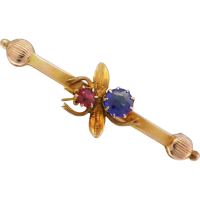 The hallmarks placed to back tells us this brooch is Birmingham provenance, dated 1893, and makers mark- "AL.LD" indicates the maker as Adie & Lovekin Ltd of once Frederick Street, Birmingham. 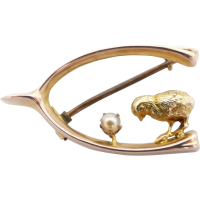 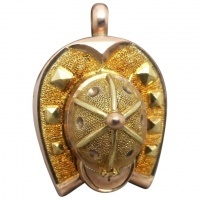 A gorgeous Victorian treasure to collect or wear! 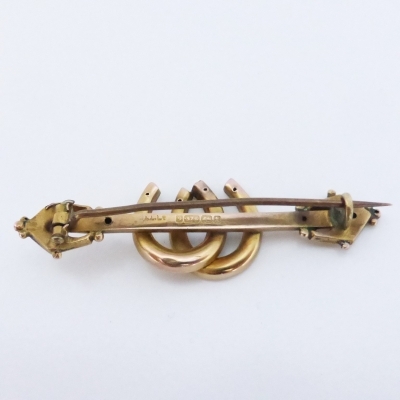 Condition: Very Good antique condition- light surface marks and slightly loose pin, consistent with age ... overall very good for 120+ years old!